Naturally, the cost of hiring a social media manager, or Major Web Design, to handle your company’s accounts will vary depending on whom you ask and where they are located. Here are a few things to keep in mind regarding how much social media management will cost when setting your budget. What do you hope to accomplish with your social media presence? Some businesses like to be active every day; lots of posts, and near-instant responses to every customer or follower interaction. These are worthwhile, valuable goals. Yet, accounting for a few variables—not every company requires this level of activity, and not every company has enough time to devote to this level of activity—it is not always realistically attainable. You definitely want to maintain a regular and consistent social media presence, but neither you or your employees have the time to stay on top of it. Many business owners find themselves in this position. Try to get a sense of how often your customers, fans, and followers interact with your accounts. This will help you to estimate how often you should be posting and how attentive you should be. Based on your findings, you may determine that your Facebook account needs at least two posts per week to meet your social media goals. Having clear cut goals like these, plus some data regarding the size of your social media footprint, will guide you in figuring out how much you can (or should) budget for SM management. How much time will you (or your employees) need to devote to accomplishing these goals? Like many businesses, you may opt to try handling social media management in-house with your available staff. Ideally, we would all be able to manage our own branding efforts to the extent we deem necessary. When you have a business to run, that isn’t always possible. Still, I recommend giving social media an honest try after you have established your social media goals. Even if you are immediately put off by the experience, this process is valuable and instructive. Adjusting for a learning curve if you are a newcomer, you will have gained some insight into how much time it takes for your company to do social media right. How much is your (and your employees’) time worth? Armed with the knowledge of how many ‘man’-hours are required to adequately handle social media, you should have the necessary data to set your social media budget. Whether you intend to keep it in-house, or go shopping for agency help, or use Major Web Design, you now have a ballpark figure to work with. You may find that the time-spend is too high for the staff you currently have. If hiring a new employee to handle social media isn’t in the budget, hiring a social media manager could provide the middle ground you need. Ultimately, social media management companies go through the same process that has been detailed in this post. You pay for the ‘agency’’s time, just as you would pay for it if you or one of your employees were tackling the social media duties. The difference is that you pay for the speed, efficiency, and convenience of a professional. Hiring an agency, or social media professional, provides peace of mind and allows business owners to remain focused on what they do best. The importance of social media management continues to grow. Transitioning from zero social presence can be painful, but this is just a “growing pain.” More and more companies are seeing the value in this investment. Most agencies or social media management companies will offer social media packages based on what works best in a majority of cases. Most agencies will also be willing to tailor a custom package for a client who knows exactly what he or she wants. The packages are usually designed around hitting certain goals (i.e. a specific number of posts per week or per month), but remember, agencies are paid for their time and expertise, just as any company employee would be. That is the key to mastering your social media budget. 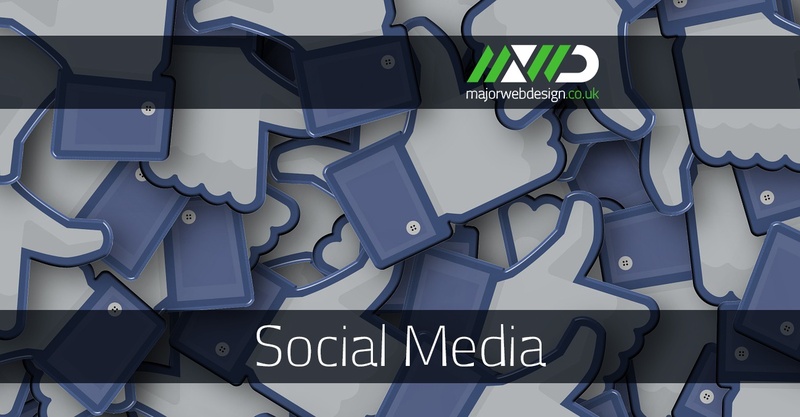 While unburdening your company of social media work can be very freeing, Major Web Design still recommends that clients stay in touch with their accounts. You will want to make sure you are getting what you pay for, and maybe even supplement the efforts with an extra post here and there. As always, knowledge is power.